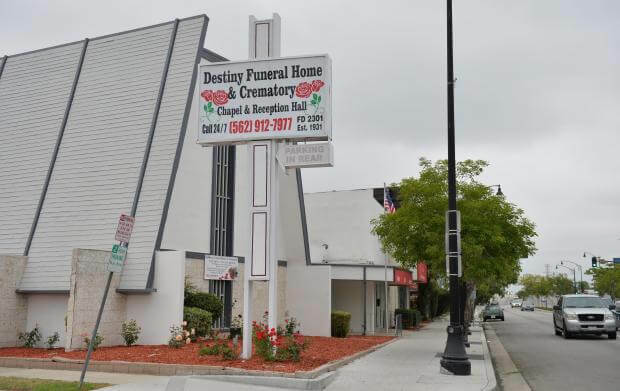 Whether looking for affordable Funeral Options or Cremation Services, Destiny Funeral Home & Crematory is your local funeral home located near Gardena CA and can service and cater to the families in the surrounding communities such as Signal Hill and Bixby Knolls CA. While there may be other reputable Funeral Homes in GardenaCA serving families, Destiny Funeral Home & Crematory is there for you and stands by you every step of the way to ensure we give your loved one an honorable Funeral Service. Click for information about Cremation Services in Gardena CA. There is a great range in prices for services and merchandise from your local funeral directors, depending on the type of funeral you purchase and each company's price structure. The perception that funerals are too expensive usually can be attributed to a lack of familiarity with the normal price range. If you find that the price for certain services and merchandise seems to high, you should check into different types of funerals and different companies until you find the price that fits your budget. Obviously, it is difficult to comparison shop in an at-death situation. Therefore, it is important speak with your local funeral director ahead of time. By pre-planning, you can find a provider whose services and merchandise fit your budget.